Dr Kenneth Oo graduated in 1997 from the Faculty of Medicine, National University of Singapore. He attained his Membership of the Royal College of Surgeons in Edinburgh in 2002. He also completed his Masters of Medicine (Otorhinolaryngology) in 2005 and completed 6 years of ear,nose and throat surgical training in 2009 where he was accredited as specialist in Otolaryngology (ENT). Dr Oo also holds a Masters in Science awarded for his time spent on research in the field of tissue engineering. Dr Kenneth Oo has been a recipient of various awards including first prize for original research at the Annual ENT society meeting, National Medical Research Council Fellowship, Co-PI for a National Medical Research Council grant and the Health Manpower Development Programme fellowship. Dr Oo spent a year in Melbourne, Australia at St Vincent’s Hospital with the Ear, Nose Throat, Head and Neck Surgery Department where he completed a clinical fellowship under the supervision of Associate Professor Bernard Lyons. Dr Oo subsequently became the first Singaporean to be awarded a one year Ministry of Health sponsored clinical fellowship in Facial Plastic surgery. This was with the Department of Otolaryngology-Head and Neck Surgery, University of Virginia, United States of America under the supervision of world renowned facial plastic surgeon, Professor Stephen Park. Dr Oo remains fully engaged in academia and teaching and is regularly invited to give lectures both regionally and internationally. He has been the course director for Rhinoplasty and facial plastic courses at the Singapore General Hospital since 2010 and the AO-CMF rhinoplasty course at the National University Hospital in Singapore. He is also a core member of the Allergy & Asthma Association. He has published in some of the best otolaryngology peer reviewed journals and co-authored a Rhinoplasty dissection manual. 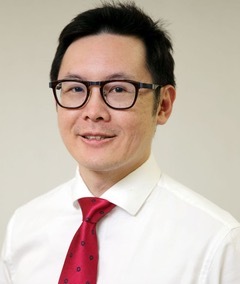 Dr Kenneth Oo is a visiting consultant to Singapore General hospital and Changi General Hospital where he regularly teaches younger residents and provides his expertise in facial plastic surgery for more complicated cases.